Joshua Leonard on the set of Steven Soderbergh’s thriller Unsane. 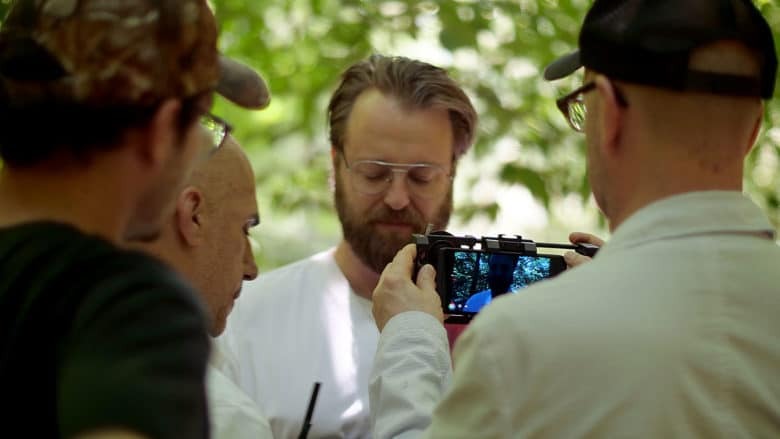 When director Steven Soderbergh set out to make a movie on iPhone, he cast an actor familiar with surprising audiences with a film shot with lo-tech cameras. 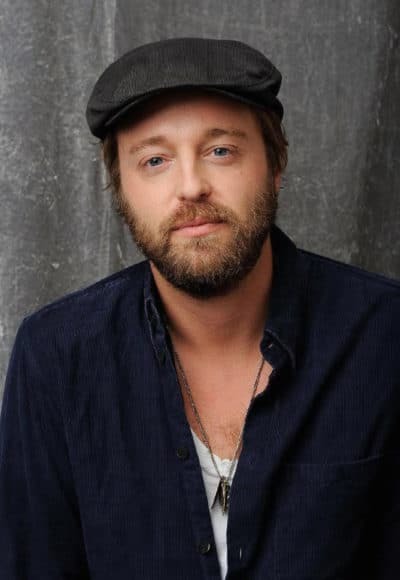 Astute film nerds will make the connection between Joshua Leonard’s first film with his most recent. Leonard, who plays a stalker in Soderbergh’s Unsane, was in The Blair Witch Project, a 1999 indie box office hit shot on digital video cameras. Blair Witch is found footage from the cameras of missing film students who go deep into the woods to make a documentary about the legend of a witch locals say is responsible for disappearances and killings. Unsane, which opens today in select theaters, is equally a psycho-thriller. It’s about a woman committed to a mental hospital not sure that her fears of a stalking ex-boyfriend are real or imagined. Variety magazine said Soderbergh “embraced the freeing possibilities of both the iPhone and the B-Movie” with Unsane. Leonard appreciates the parallels of the two ground-breaking digital projects to which he is attached. But he is quick to point out the differences. While the video cameras were a part of the story in Blair Witch, it was also the vehicle that made the project affordable. Soderbergh is not the first director to use an iPhone. There have been a number of well-received independent films shot with an iPhone, most notably Sean Baker’s gritty yet lush film Tangerine, which caused a sensation at the Sundance Film Festival in 2015. Baker had mixed feelings about Tangerine’s success. Baker would still rather work with celluloid film, A-list actors and a big budget. Now that the industry saw what he could do with the iPhone, would be asked to do it again? Soderbergh, however, talks as if he is ready to set aside the old ways of filmmaking. Moviegoers knowing the film-making backstory of Unsane might assume Soderbergh needed several accessories, studio lighting, and software to get the film ready for the big screen. Leonard said Soderbergh mostly hand-held the iPhone and shot “85 percent” of the film with available light. He initially thought Unsane would go directly to streaming but changed his mind about releasing it to theaters as he began to review footage at the end of each day of shooting.